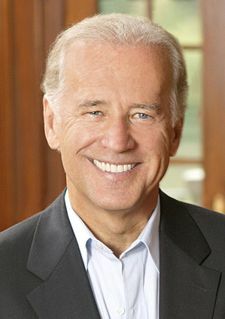 Just like Republican Vice-Presidential Candidate Sarah Palin, Senator Joe Biden is also from a small town. Although Wilmington, DE at 72,000 people (475 MerchantCircle members) is considerably larger than Wasilla, AK (7,000 residents and 236 members), viewpoints, besides which candidate they prefer, are the same. With most people telling you Wilmington is split along party lines, it's not an easy task to find someone who isn't supportive of their hometown boy. "Senator Biden is well-known around here," says James Ellis of Electronicbusters. "The man stands behind his word and gets both parties involved. So even though this area is split 50 - 50 Republican/Democrat, we're all very supportive of him." One common trait between merchants in Wilmington and Wasilla is that they have heard almost nothing from either campaign about support and initiatives for small business owners. We did some research on a recent post that shows some of the candidate's agendas on taxes, health care, and incentives. Much of the information is news to local business owners. "There's been a lot of hype recently about John McCain's running mate, and it seems like she's been a good leader, but I don't know about anything they might do for me as a business owner," says Francine Byrd of The Diagnostic Center. "I'd like to see more substance from all the candidates. Small businesses are the mainstay of the economy and we need resources to grow." Business owners in Wilmington speak about not having a united lobbying effort, unlike the big corporations, as a possible reason they're not mentioned on the campaign trail. Jeff Jankowski has run Silk T's Promotions for the last 15 years and today has 7 employees. He says employee health care costs keep getting worse, currently costing him about 25% of his revenue, and believes the Obama/Biden ticket will help out his business the most. "I've spoken to Senator Biden before and someone in our group disagreed with one of his policies, he stuck by his guns rather than give a 'politician-type' answer. That really won me over," says Jankowski. "The economy is the worst I've seen it in the last few years. My salesteam is getting pushed right out the door, because people just don't have the money to spend. The country needs a change and I believe Obama and Biden are the ones to do it."